Hi guys! I hope you are all having a great start of Fall (or at least that’s what it feels like here in Utah with things getting very crisp and cold this week). I’ve been busy with NaNoWriMo so that’s why I haven’t posted on this blog this week. My apologies for that but doing best I can. My novel is coming along pretty well. I am ahead of the game as far as word count which makes me feel good because I don’t know how much I will be able to write this weekend with stuff going on. 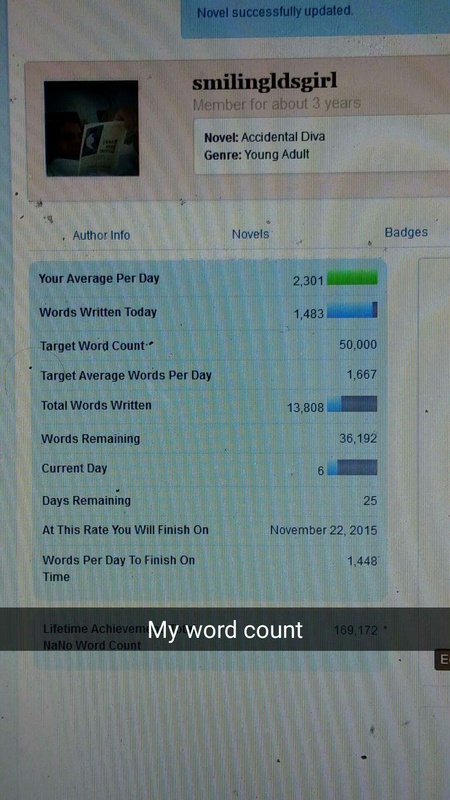 How are you guys doing with NaNoWriMo? How are your novels coming along? This is Friday so it also means it is time for the Friday Five! This weeks topic is all about instrumentals and being a movie fan of course I had to include mostly scores as my choices but I love the 5 songs I picked. What are instrumentals that you like? What scores from movies are your favorite? Put in the comments section and if you like the video I would love if you gave it a thumbs up. Thanks! Glad that your novel is going well. I’m very nearly at 10,000 words. I’m sort of the opposite of you in that description’s one of my weak points in writing. I haven’t spent that much time describing things, though that’s partly because it’s being written in diary format and the main character wouldn’t feel the need. The story has rambled so far but I’m getting close to my lead making the decision to become an assassin. I’m liking her, and the things I learn about her as I go along – for one thing, if she went to Hogwarts she’d easily be in Slytherin, because she’s got a sneaky, manipulative streak. Movie soundtracks take up a lot of space on my MP3 player. I like James Horner a lot: my favourite scores are Titanic and Apollo 13, and I also like The Lord of the Rings.